Music and laughter are among the best remedies to many health related issues, and laughter and listening to music is a perfect way to stay healthy. According to a popular saying, alillaughing makes you younger'. Of late, people have huge and heavy loads that they carry all day, every day to work, back home, and anywhere else they go. This is due to the many responsibilities bestowed upon you and other tasks that put on yourself, thus leaving you with very little space and time to take pleasure in the little happy moments of life. Frustrations, stress, and depression leave you unhealthy. Therefore, you need to completely eliminate them from your life to live a good and healthy lifestyle. Scientists and medical experts found out that laughter therapy and music therapy can work effectively to provide relief from the above mentioned health issues. In fact, they can also heal a number of mental disorders and other health conditions. 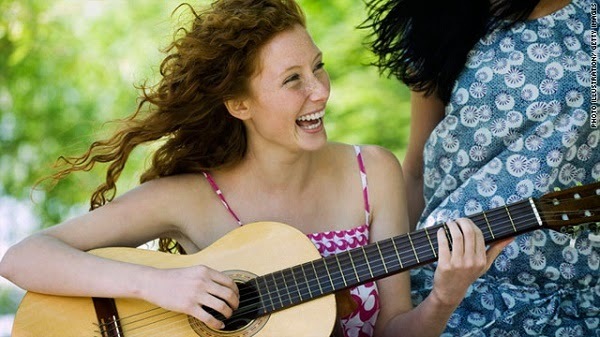 Here is how music and laughter can help you to stay healthy. The music calms your mind and at the same time soothes your soul. It is therefore believed to possess anti-anxiety properties. According to a study conducted in Taiwan, new nurses suffering from high levels of stress were indiscriminately assigned to either rest quietly or listen to slow, soft, soothing music. Those assigned to listen to music reported less stress levels and also had lower heart rate, and blood pressure. Laughter also has a similar effect as music in terms of being a good stress reliever. This is something that everyone can relate to. For example: If you have probably found yourself in a very stressing situation, then when a friend tells a hilarious joke out of the blue, you laugh so hard that you almost salivate, after which you feel much better. Negative stress results in chemical reactions in the body that lower your immunity, increasing your odds of getting sick. According to some studies, music not only boosts human being immune system, but also that of other animals, including mice that were also found to have a similar reaction. On the same note, a hearty laugh was also found to boost the immune system with sickness-fighting ability that will enable you to stay energetic and healthy. Back in the days, music was believed to have the power to give life to a lifeless soul. It is said that music speaks without words. According to a research study by a renowned psychologist known as Daniel Levitin, a master in music neuroscience, music has high levels of immune globin A. This is an antibody that ensures healthy heart and boosts immunity. Laughter on the hand improves blood flow and lowers blood pressure, which will consequently minimize your chances of suffering from a heart attack or stroke. Both music and laughter can help you burn the excess calories in your body. Dancing to music has been established to be one of the best, easiest, and the most enjoyable way of burning excess calories. In fact, it is highly recommended by most health and physical experts, and professional medical practitioners. According to a study conducted by the International Journal of Obesity, laughing increases your caloric expenditure and heart rate, leading to approximately 10 to 40 calories burned over fifteen minutes of good laughter. Regardless of the health benefits provided to you by music and laughter, it is very vital to apply for an EHIC card to access necessary medical attention in the event you travel to any of the 28 EU nations.